Composer Andrew Lloyd Webber is searching for a star to play the role of Jesus in the UK Arena Tour of the timeless rock musical, Jesus Christ Superstar, in a fantastic new show for ITV. 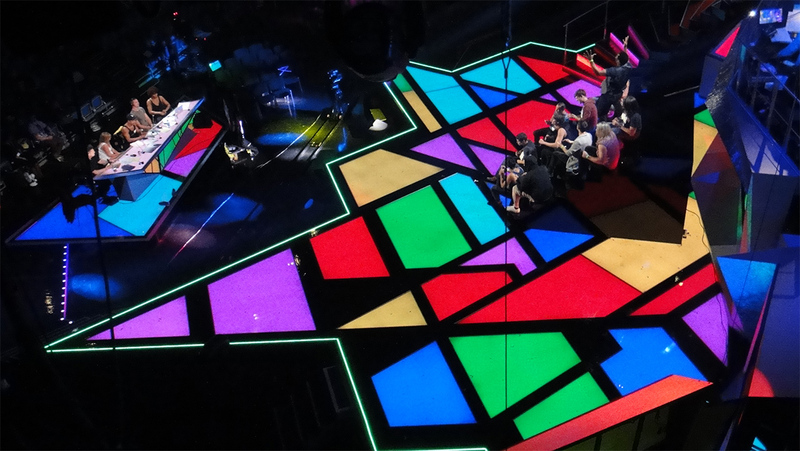 Performances on the magnificent, colourful star shaped set are presided over by judges Jason Donavon, Melanie C and Dawn French. The set, designed by Dominic Tolfts, has a central Toshiba 6mm LED screen. The shard shapes have O-Lite module custom shaped LED screens and much of the set incorporates many hundreds of meters of XFLEX LED ribbon. Lighting Direction is from Dave Davey. The show is live from Fountain Studios each night on ITV1 HD for a week.